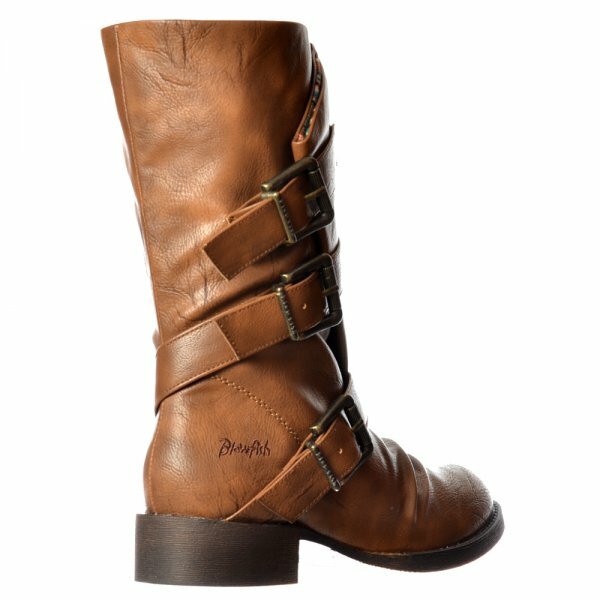 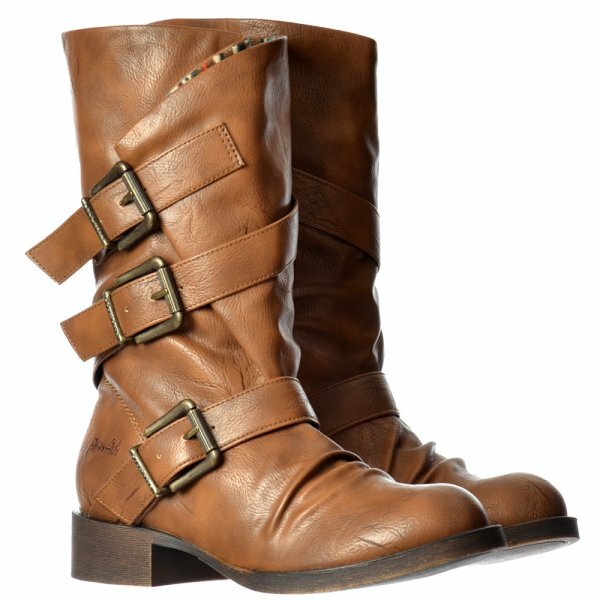 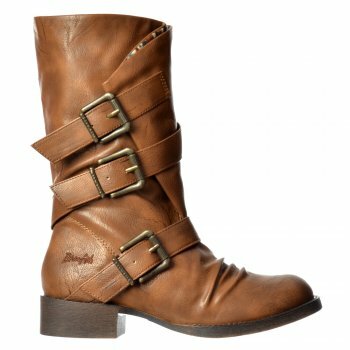 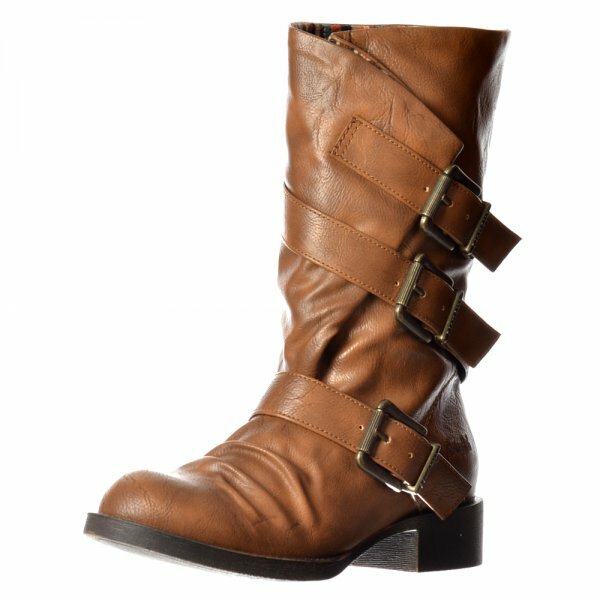 This Stylish Mid Calf Biker Boot Features Three Wrap Around Adjustable Straps With Tarnished Effect Buckles and Cross Over Faux Leather Upper. 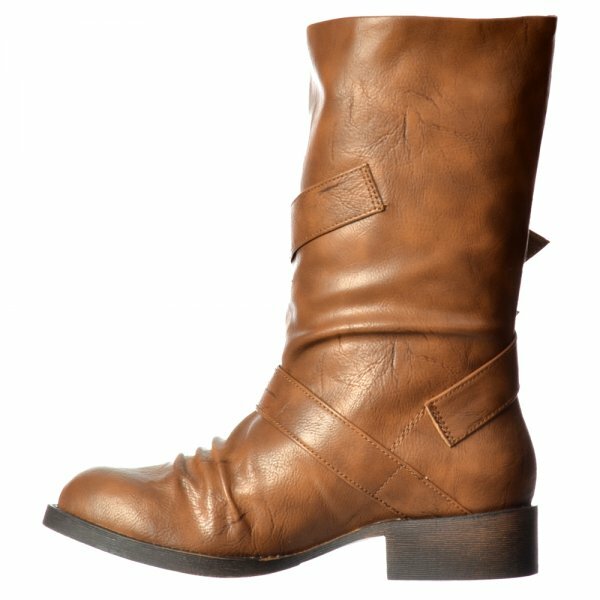 The Ruched Front With Floral Textile Lining and Cushioned Insole Provides Comfort Whilst The Grain Effect Rubber Block Heel and Sole Provides Extra Grip. 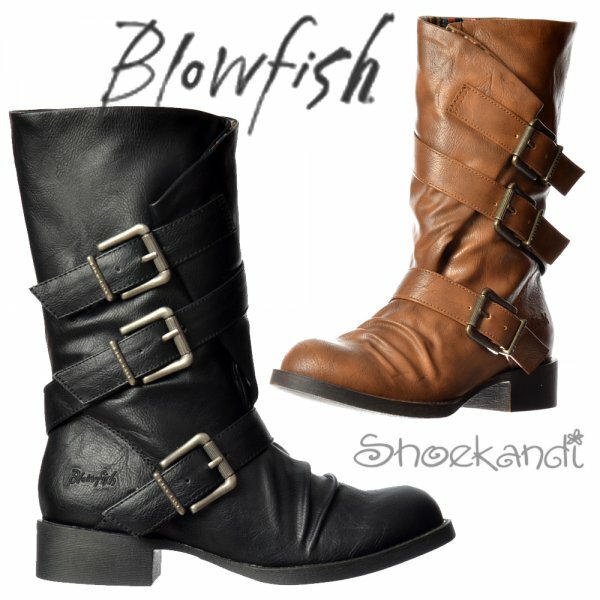 Subtly Embossed Blowfish Branding to The Rear of The Boot Completes The Look. 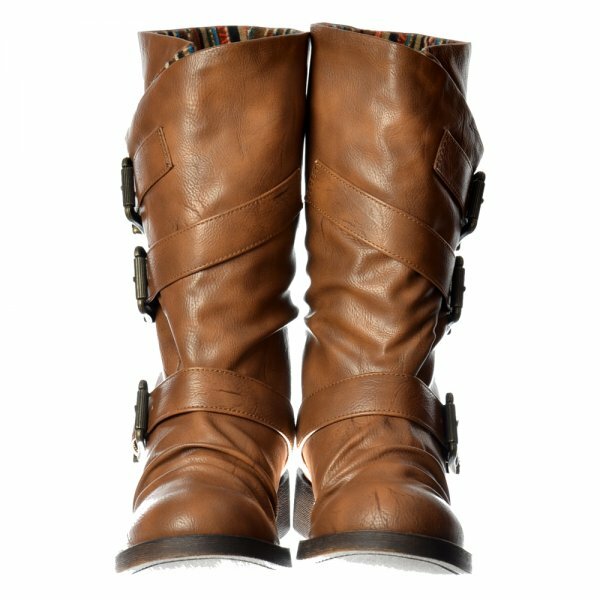 Choose From Black Old Saddle or Whiskey Old Saddle.